This new "Mag" (which is what we call our sustainable development report) sets out our achievment and the new directions that the cooperative has decided it wants to pursue and communicate about. Following our strategic decision to use nature as model, we have explored, and will continue to explore, various subjects that are all pledges of our performance, our responsability and our credibility. Many years ago, we chose to take the ambitious high road of ecological transition involving a reduction in the use of chemical products, the recovery of biodiversity, the preservation of the soil's potential and the management of resources, particularly water. 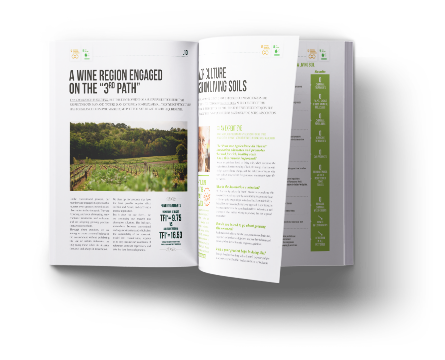 "To make good, clean wine with the greatest respect for both Man and Nature" is a clear mission statement and the values derived from our cooperative roots are strong. All we need do now is to continue along our chosen route, an exciting yet difficult route to achieving consumer preference through a combination of good sense and emotion. Our ability to innovate and anticipate the desires of our stakeholders will allow us to go above and beyond mere quality satisfaction. We made the decision early on to go down the sustainable development route, adopting the ISO 26000 framework to measure our ability to achieve a performance balanced across the three economic, social and environmental pillars. We have reached a recognised level of maturity that inspires us to become ever more exemplary. Today, Sustainable Development Goals (SDGs) are now being adopted by the business world. The ISO 26000 standard contributes to the achievement of the 2030 Agenda for Sustainable Development and the SDGs associated with it. We have decided to make this the goal of our development, drawing inspiration from the action programmes developed under the aegis of the United Nations. 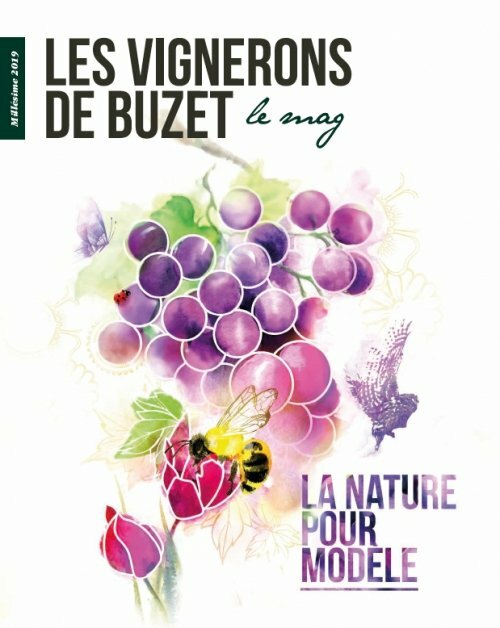 To paraphrase Ernest RENAN in his lecture on the roots of a nation, what constitutes Les Vignerons de Buzet are the great things we have done together in the past... and the great things we plan to do together in the future. Click here to read Le Mag!